Today is Chicago Rescue Day, where 29 Chicago area rescues are coming together to pull as many dogs and cats as possible from our highest intake shelters in Chicago. These shelters are slammed for space during the summer, and have to euthanize for space when it runs out. And unfortunately for senior dogs and cats, they are always first on the list of those who are in danger of being euthanized. We have been working really hard to create some space here at Young at Heart so that we can save at least two older dogs and two older cats tomorrow, with a goal of saving up to six. These sweet girls are some of the ones we are hoping to save tomorrow. How can those smiles not make you smile right back? The seniors that we rescue willl need full veterinary work ups, blood work, dentals, and more, but the biggest risk we take in our veterinary expenses is that all of the ones that we save have been exposed to the myriad of viruses that run rampant in the city shelters. This is a risk we are willing to take because it means saving their lives. But we could really use your help saving these sweet seniors! Please donate below to help Young at Heart save these two seniors tomorrow and hopefully four more! Every donation will help us save more! 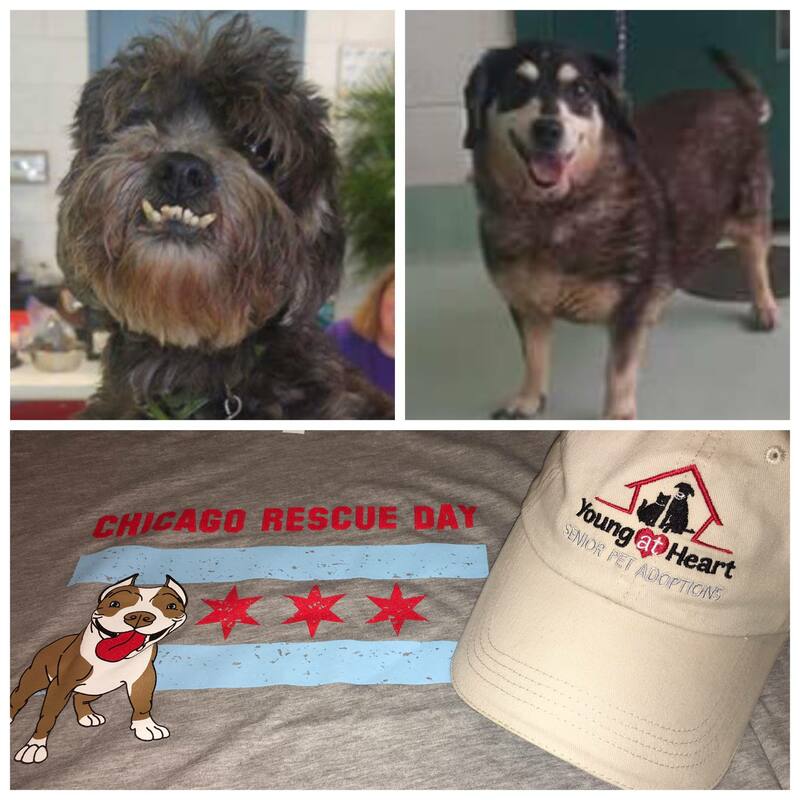 We'll be posting all day from Chicago Rescue Day so that you can follow along with the lives that YOU help us save!